Pumpkin! Halloween time!! Taiyaki filled with pumpkin Cream Yummy!! This is highly seasonal of the Taiyaki filling with Pumpkin fillings. The Fall is one of the best season to taste the greatness from the earth created. Taiyaki (たい焼き, , literally “baked sea bream“?) 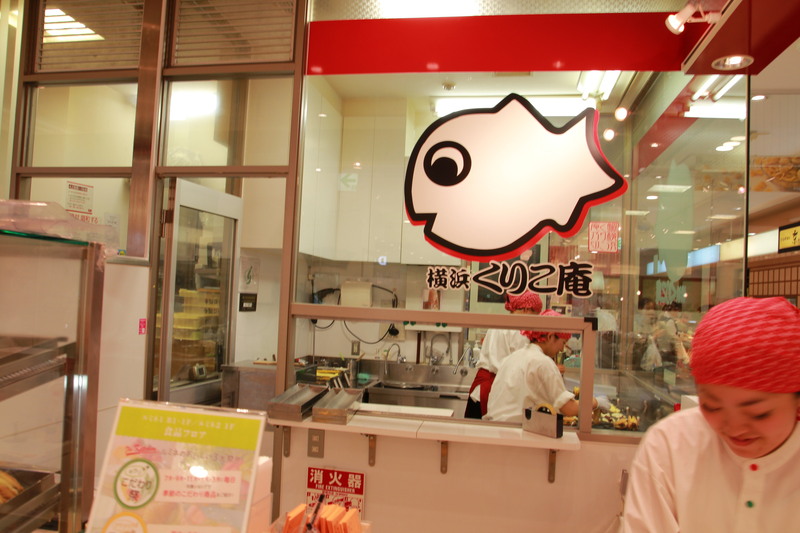 is a Japanese fish-shaped cake. The most common filling is red bean paste that is made from sweetened azuki beans. Taiyaki is made using regular pancake or waffle batter. The batter is poured into a fish-shaped mold for each side. The filling is then put on one side and the mold is closed. It is then cooked on both sides until golden brown. Other common fillings may be custard, chocolate, or cheese. 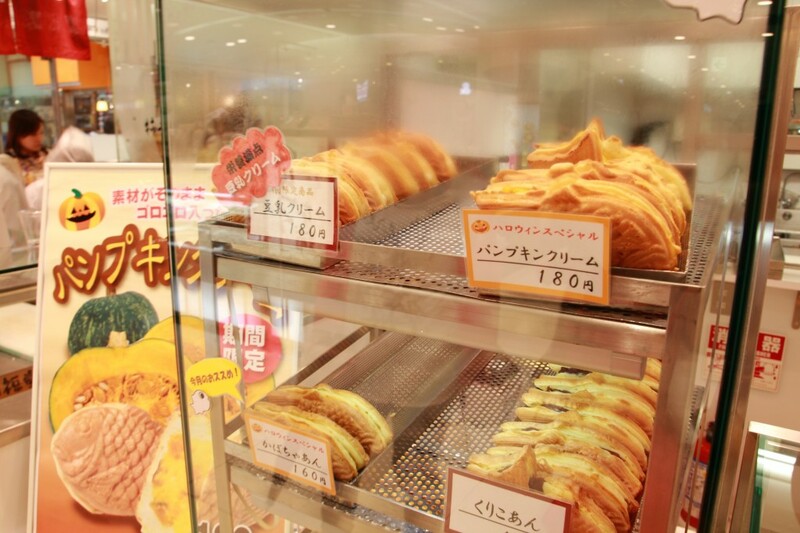 Some shops even sell taiyaki with okonomiyaki, gyoza filling, or a sausage inside.